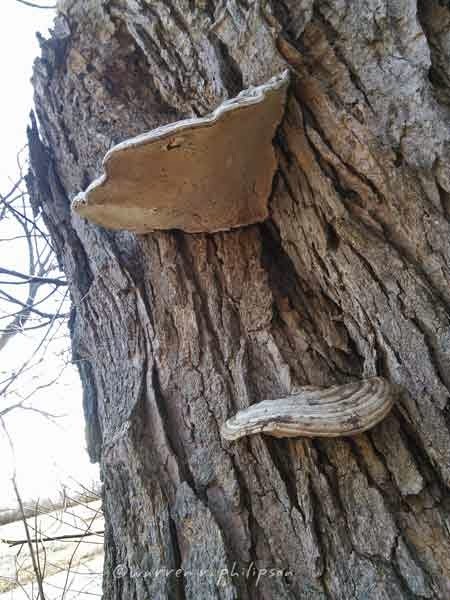 As promised in the wrap up of last Friday’s blog post, Tree Bracket Fungi, today’s addendum features photos of other tree bracket fungi, all Ganoderma applanatum. 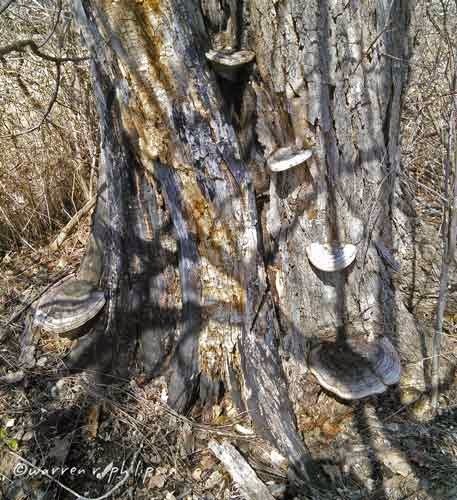 There are three tree stumps with fungi along the road and none within sight off the road. 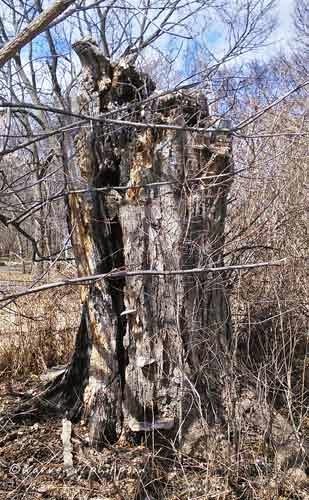 This tree stump, about a quarter mile from the one in last Friday’s blog post, also has multiple tree bracket fungi. I’d bow to a mycologist’s assessment, but none appears new or fresh, as you’ll see in the next six photos. 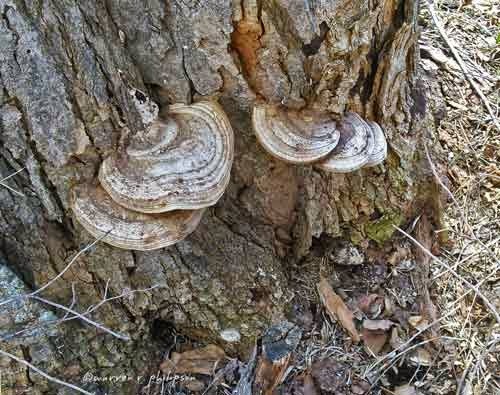 A closer view of the bracket fungi on one side of the tree stump. The next photo gets closer to the top two. 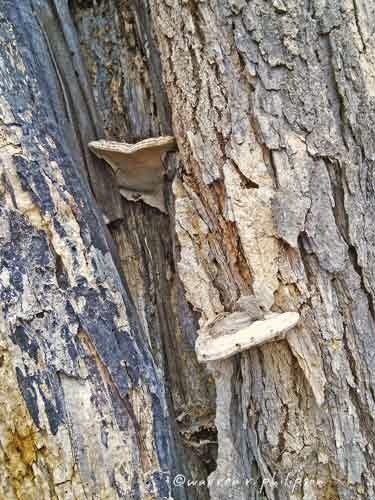 A view of one tree bracket fungus’s shelf-like attachment to the stump. A top-down view of two other fungi on the stump. The next two photos view these fungi from different angles. 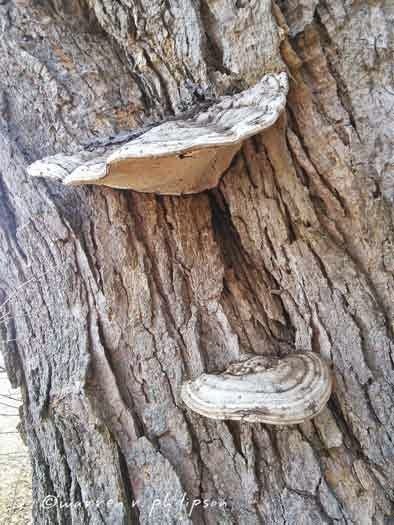 A more direct view of the two bracket fungi in the previous photo. Looking up at the two fungi in the previous two photos. 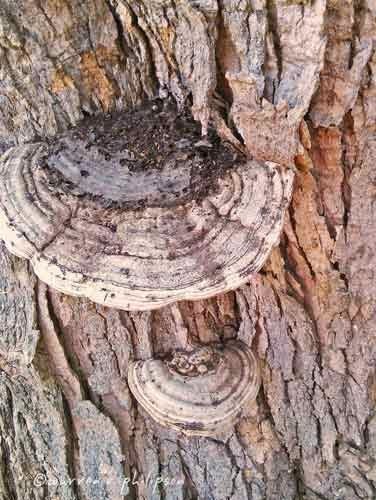 There’s a cluster of bracket fungi near the ground on the other side of the tree stump. 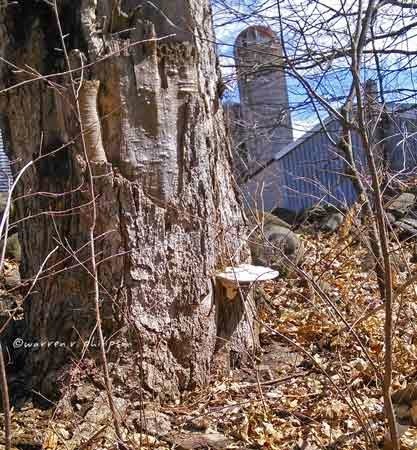 This tree stump with bracket fungi is about midway between the stump pictured above and the one from last Friday’s blog post. Note the white fungus near the base of the stump and the dead bark-colored fungus at the top. 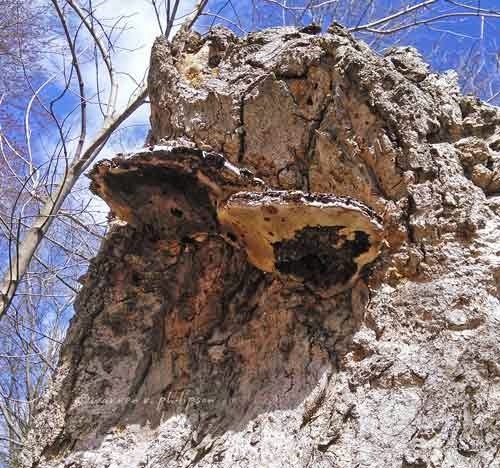 A view of the underside of the dead bracket fungus at the top of the stump in the previous photo. The “art palette” has deteriorated. 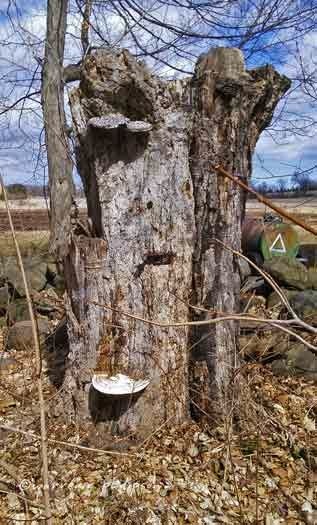 A view of the bracket fungus at the bottom of the stump, showing the shelf-like structure (and farm structures in the background).